Australia’s leading destination for pain relief products and health news. Shop here for products to suit all your back and joint pain concerns. Talk to others and discover medical advancements at a click. The Vision Personal Training network is made up of passionate franchise owners who are some of Australia’s leading experts in fitness, health and weight loss. They are 100% committed to helping you achieve real results. They do this by providing you with a small, friendly environment, where personal attention and your results are their key focus. 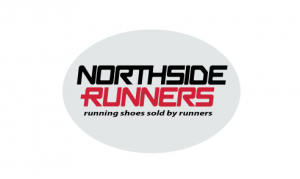 Northside Runners is a specialised running and triathlon store supplying running shoes and other athletic equipment at awesome prices. They have many affiliations with local community running and triathlon clubs and events, contribute to publications, hold seminars, technique clinics and info sessions. Contact them at their Crows Nest store on 02 8065 3583 for an experience that cannot be beaten! Hello Fresh is the smart way to prepare easy and healthy meals for yourself and your family. Every week they deliver the complete ingredients for your healthy and tasty meals, straight to your door. Freshness is not just a motto but also something you can taste! Contact Hello Fresh for more information and to rediscover the joys of cooking. Spine and Health have been partnered with Straighten Up since June 2014. Straighten up has worked with other ABC chiropractors and continues to work with Spine and Health practitioners. Located in Crows Nest, Straighten Up are passionate about posture and spinal straightening through manual therapy to help people live a pain free and healthy life style. Jetts is a convenient and affordable gym, and with no lock-in contracts and 24/7 access, you can workout at a time that suits you. Jetts pride themselves on the philosophy that their gyms are all about the member- being voted the #1 gym chain in Australia for customer satisfaction 2 years in a row. 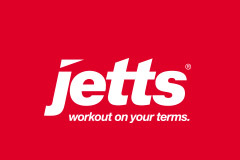 Jetts clubs have everything you need to achieve your goals; including hundreds of qualified friendly Personal Trainers with specialist skills such as rehabilitation, pre/post natal, weight loss and strength building, as well as specific sports training.